I finally have time to sit down and write out this review. Despite this work being such a short read, there is so much that needs to be said about this short fiction. For starters, it being written by Brandon Sanderson says quite enough. Continuing from Legion, the first novella in the series, Sanderson takes us back into the world of Stephen Leeds, a man with the unusual ability (if you can really call it one) to generate multiple human aspects in the form of hallucinations, each with their own personality and set of skills. It was great to finally see more of this character once again after having read the first story a couple years back. And I have the feeling this won’t be the last. 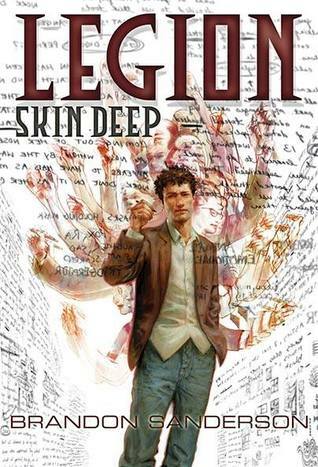 In Skin Deep, we follow Leeds, AKA “Legion,” as he’s been employed to investigate the mystery of a stolen corpse. A corpse that has information embedded deep into its cells. Information that could prove to be a serious threat to the world. What we get from reading this novella is the mystifying element of human personality, as well as the interactions made between oneself and those between many. Being a short fiction, which is quite different from most of Sanderson’s works, everything is compact into a high-speed roller coaster with just the right amount of slowdowns to give the proper pacing for readers to keep up and be able to dice up what’s being conveyed. Definitely a good read for those who find themselves having no time to stick with a full-length novel, or those who are looking for something new to read. Can’t highly recommend enough.